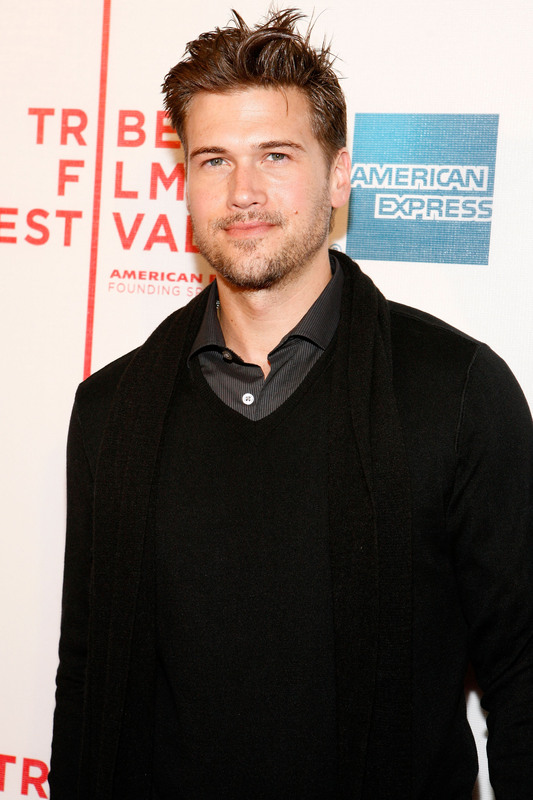 Nick Zano and Channing Tatum are buddies in real life. They costarred in the movie 10 Years together and now they're working on this together. What a pair of adorable hotties. Nicky is a semi-autobiographical show about a man living in a multi-generational household. Zano was raised by his great grandmother, grandmother, mother, and aunts. I could make a "he must comfortable with running out to the store for tampons" joke, but I won't because it's 2013 and we're past that. He was on What I Like About You. He played the bike messenger boyfriend of Amanda Bynes' character. He was a cutie patootie. Pardon me while I pour one out for the Vince and Holly reunion that will never happen on Nicky. ...he was a shoe salesman at Kenneth Cole. He's been on almost every show. Seriously. His credits include: Pete on Happy Endings (Penny's fiancé! ), Josh on Cougar Town, Johnny on 2 Broke Girls, Drew on Melrose Place (the new one), Preston on 90210 (again, the new one), Dr. Sanderson on 7th Heaven, and more! Seriously, he's been on all of the shows (and a bunch of movies)! He's dated Amanda Bynes, Kristin Cavallari, and Haylie Duff. How mid-aughts of him! He was an MTV News correspondent. Because why can't the news be babe-a-licious and informative? He was supposed to be in a 2007 remake of Revenge of the Nerds. Alongside Adam Brody (!!! ), but the project was cancelled. Don't mind me as I sob over a non-movie I didn't know about until this moment. His current girlfriend is also on CBS. As of Dec. 2011, he's been dating 2 Broke Girls costar Kat Dennings. Sorry. I guess he can't be your new BF after all.